To ensure that the operation would be executed successfully, it was critical that the conductors be properly positioned before being driven into the seabed. CIS engineers carefully assessed the angles required so that the conductors would be appropriately offset. The company also produced three customised deviated drive shoes necessary to drive the conductors: two for the wells and one as a back-up. The directional drive shoes were then welded onto the conductor pup joints at the CIS Asia Pacific Region base in Singapore. Once this was completed, they were transported to Australia. Working from the Sea Drill West Telesto jack up rig, CIS used a 150 kJ hydraulic hammer to install the conductors safely, driving them approximately 126 metres subsea and a further 117 metres below the mudline to their respective target depths. The total length of each conductor extended 243 metres. The platform is live, so CIS chose to use a cold cutter system to cut the conductors to the correct height and the required bevel in order to prepare them for receiving the respective wellheads. By doing so, the cutting process was executed safely in a potentially explosive gas environment. CIS completed the entire offshore operation in three days. The range of services provided by CIS supports the Acteon Group’s commitment to defining subsea services across a range of interconnected disciplines. The company is an active member of Acteon’s Seabed Foundation Technologies. Conductor Installation Services Ltd (CIS), an Acteon Company, is the only company that is solely dedicated to the process of installing conductors and piles. CIS takes responsibility for full project management of installing conductors anywhere in the world. The company’s primary objective is to employ hammer services to install conductors and drive piles with the highest standard of structural integrity, reliably and safely. 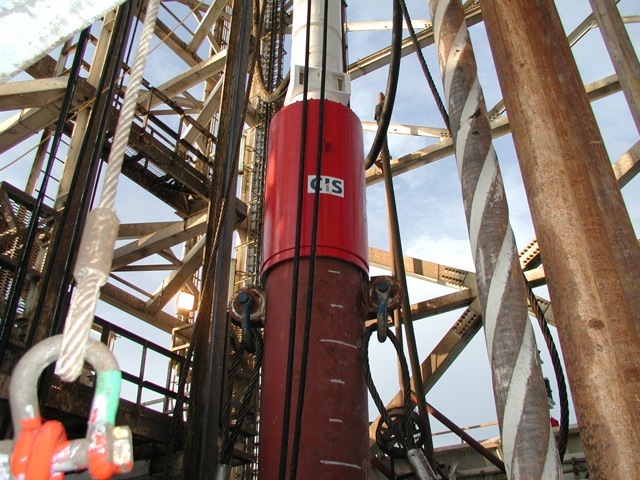 CIS also strives to reduce the cost of conductor and pile installation by developing more efficient work processes and using the latest state-of-the-art technology, including its remotely operated Subsea Piling System that the company developed to drive piles as large as 36 inches in diameter in water depths to 300 metres. Since it was founded in Great Yarmouth, England in 2005, CIS has built an impressive track record of successful operations carried out in every major oil and gas-producing region. In recognition of the fact that it had not incurred a single lost time incident (LTI) for nine consecutive years and had been awarded the prestigious Gold Award for Occupation Health and Safety for five consecutive years, CIS received the Gold Medal for Occupational Health and Safety 2014 from the Royal Society for the Prevention of Accidents (RoSPA). It is the highest award for safety in the United Kingdom. Learn more at www.c-i-services.com. Acteon provides a range of global subsea services from surveying, installation, and asset integrity management through to decommissioning. Acteon’s companies are 2H Offshore, Aquatic, Claxton, Clarus Subsea Integrity, Conductor Installation Services (CIS), Core Grouting Services, Fluke Subsea, InterAct, InterMoor, J2 Subsea, LDD, LM Handling, MENCK, Mirage Machines, NCS Survey, Offshore Installation Services (OIS), Probe Oil Tools, Pulse Structural Monitoring, Seatronics, Subsea Riser Products (SRP), TEAM Energy Resources and UTEC Survey. Acteon’s companies share knowledge and experience to add value and create effective, tailored solutions for clients across four business segments: survey, monitoring and data; risers and moorings; seabed foundation technologies; and project support services. Acteon’s aim is to define, shape and lead subsea services through best-in-class expertise offering full market coverage across the whole life of a subsea field. Acteon’s integrated approach to subsea services makes it easy for clients to combine capabilities to meet their specific project needs. Acteon’s subsea services companies share knowledge and experience across four business segments to deliver highly efficient solutions tailored to a client’s unique challenges, thereby reducing overall cost, risk and complexity. Acteon provides foundations and geotechnical engineering services to add value and create effective, tailored solutions for clients. Acteon offers global expert capabilities in subsea foundations, including large-diameter hard-rock drilling, conductor and pile installation, grouting, specialist handling services and high-energy hammers. An extensive inventory of specialist equipment, leading engineering capabilities and innovative specialist foundation components characterise Acteon’s offering.